Think about the rock guitar songs that inspired you to want to pick up the guitar and play. You’d give anything to play some of those songs, wouldn’t you? Well, the good news is you can. Maybe not right away, but with patience and a whole lot of practice, one day you can play some of your favorite rock songs. In the meantime, though, you can start with some easy rock guitar songs. There are certainly enough of them that can be played with marginal practice and that still sound impressive. Let’s take a look at some of the easiest rock guitar songs. 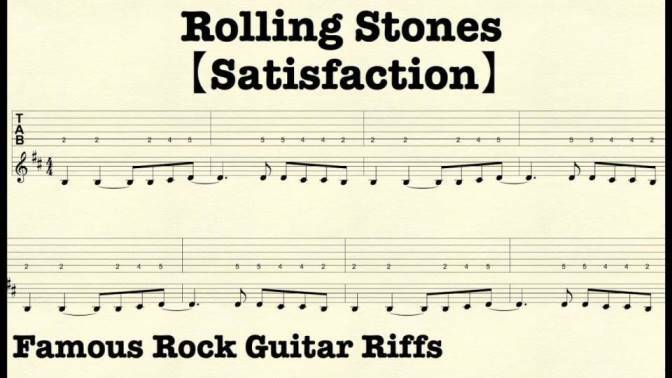 “(I Can’t Get No) Satisfaction” is not only one of the Rolling Stones’ most iconic songs, it’s an easy song to play. Check out the illustration. The song features a primarily a three-note riff that pretty much sets up the rhythmic structure and pace of the song. 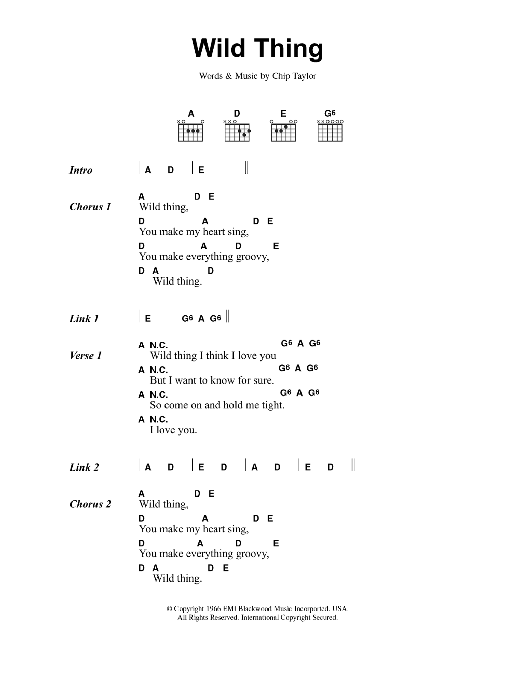 Learning this riff means you’ll basically know how to play this guitar classic by the Stones. 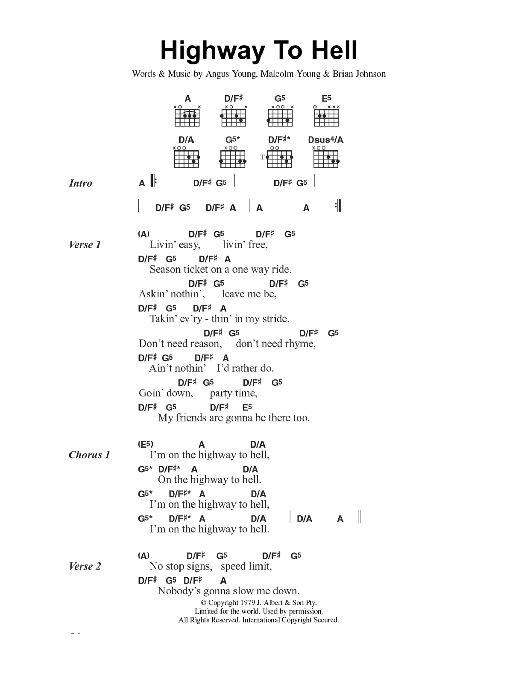 “Highway to Hell” by AC/DC is a fun, easy-to-play, and easily-recognizable song. Angus is known for playing full chords (as opposed to fifth chords) in the first position for many of AC/DC’s classics, making AC/DC songs some of the easiest rock guitar songs to play. In this AC/DC classic Angus Young uses first position chords played hard over a driving beat to create the immediately recognizable chord progression that drives this hard rock classic from start to finish. Another easy rock guitar classic is “Wild Thing,” also played with basic first-position chords and easily accomplished by someone who hasn’t been playing guitar for long. This song is a party favorite and recognizable enough to have your friends dancing. 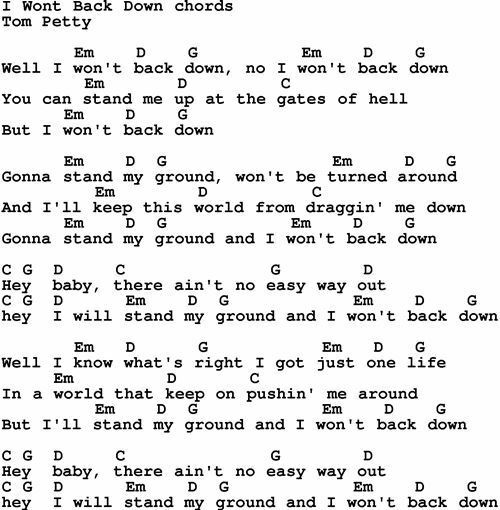 “I Won’t Back Down” by Tom Petty is another easy to play rock song that people like to sing along with. Like “Knockin’ on Heaven’s Door,” this one makes use of chords in the first position and sounds best with a laid-back strum pattern on an acoustic guitar. Some of the best rock songs are easy rock guitar songs. Artists like the Eagles, Bob Seger, Steve Miller, Rod Stewart, Cinderella, Bon Jovi, and Bruce Springsteen have guitar classics you can probably play with just a little practice.